I’ve been hearing so much about “Farm to Table” recently. I’ve had it. It seems everyone from growers, restaurants and grocers are now marketing the phrase. There are so many articles published about eating fresher, better food to improve your health and longevity, you know, within 20 miles of home? Most markets are now carrying so many ‘artisan’ or ‘organic’ or ‘farm to table’ foods I think it is time to consider what this really means and are we benefitting or just paying? Most people are hard-working and working hard to make ends meet. How many decisions should we have to make before we sit down to dinner? (Is this really healthy? Is this costing me much more? is this a time saver? Can I ever be able to just trust the labels? Are these the nutrients I need? ) I believe it’s time we demand more truthful details. We are led from one food fad to another – anyone for kale? I’m not questioning that the value of eating foods that are as close to where they leave the farm is a healthier and better life-style. What I am questioning is whether all they tell us about the food is really true. Is the organic produce truely organic? Are the organic foods still grown from GMO seeds or not? Are the farmers markets supplying us with food truely grown by them? That is in part why I love eating in Italy so much. With all our technology, all the ready and quick answers and all the demands on our time and brains, we are still too trusting .with our food. Remember, it’s agribusiness now, not farming. Most of us are trying to be healthy, live longer, eat better. Unfortunately, it’s created more and more opportunities for advertising, big business and the lurking chemical companies to prey on us. I just read today, the latest “Big food” will be some type of purple pole bean”. It’s taking more and more time to sift through so much info and we end up not having a clue what’s actually true. If you buy olive oil, you are eating healthier, right? Not necessarily. If you do not carefully read all the labels, you might first of all, be eating rancid oil. I have been in many of the small, local specialty and ethnic markets looking at oils. Many, many of them are way past the dates they are good. 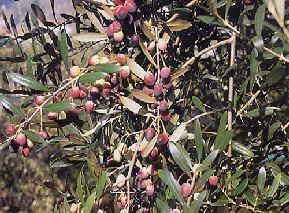 Olive oil, can be consumed for two years from harvest. IF it is kept stored properly. First pressing extra virgin olive oil (it’s just as the name suggests) has so much more antioxidant value than even regular virgin oil, you might be wasting lots of money as well as happily thinking you have improved your eating. The first pressing oil is usually usable for two years, but after the first year it loses much of the value of the antioxidants and some taste. After that year, it’s usable, but not worth much. Then there are the labels that exclaim virgin olive oil, but does not really explain what kind of olives, where they come from, the harvest date, or what the mixture of oils might include. Think about it. They load a boat with tons of olive oil. They take a couple of weeks to get to an American port. The bulk oil is traveling in the dark, but it is also being sort of ‘cooked’ in the hull, cool and dark is good. Heat and dark, not so much. Depending on the route, it takes at least two to three weeks to reach port. Another week or so to get it off-loaded and delivered to the bottler. It sits there, sometimes for a month or so. So, this oil, by the time it reaches a market near you has been stored for as much as a year. Is it any wonder Italians (all Europeans) laugh at us about our ability to know good olive oil from bad. We have all read about lesser quality oils mixed in or mislabeled because they believe we would not know the difference. Few of us have tasted real, fresh olive oil unless we carried it back from Spain, France, Italy, Greece of some other olive area. American grown oils are great, but also mass-produced often with less flavor due to different varieties, pesticides, etc. Dr. Gino Celletti, chairman of the Monocultivar Olive Oil Council, in judging a world wide competition in New York, said freshness, is paramount. 58% of the oils entered in the competition were bad. So one has to wonder why a producer would enter an oil in the competition if it was not the latest, freshest sample. “They simply may not know they have bad oils,” Dr. Celletti said. Out of 653 oils from 22 countries there were 27 winners and two of those were from California. It’s a start. We would have to spend so much time examining every item we eat we would have no time to eat it. Our agribusiness has improved foods for shipping, producing much larger, more perfect looking and easily controlled seeds, but what has it really done for you. We have pink, rather than red tomatoes, hard as rocks when they are ‘ripe’. And, they have virtually no taste. I’m not sure about nutrient values, since they probably pump those into vegetables, as they do with livestock and their feed. Is it any wonder we eat more, there is so little enjoyment from what we taste, you keeping eating more hoping for that feeling of satisfaction that never comes. If it is more profitable to produce a product for humans rather than use it as animal feed, why do we belive they do it for us. Why do we believe bigger is always better? The real point of my diatribe is that we not only cannot trust agribusiness, the grocery producers and chains but even the local farmers markets. The necessity of changing quality is affecting even those ‘health food’ and organic and farm stores as well. With more markets increasing the ‘organic’ or ‘farm grown’ (who knows what that really means) areas of their stores, the smaller markets are in trouble. Ask Whole Foods (which is by no means exempt from these problems nor are they small). The ‘farmer’s’ markets in your local town are also competing. Do you really believe there are so many farms that send out people every week in every area to sell directly? Ask questions. That is our only hope. Know more about what you want and ask questi ons. I guarantee you if you spend the extra few moments to ask the people in these markets exactly where their farm is and what they grow, you’ll be as suspicious as I am. I think, today, at least in the Los Angeles area, there are probably half of these stands where the produce is picked up in downtown Los Angeles, from the wholesalers (the same who supply your restaurants and markets) to be sold as ‘farm fresh’ produce. The produce you believe is local (and getting close to farm to table) is really the same as in the market, but probably not stored as well and maybe not as inexpensive as you might guess. Real food does not grow to be picture perfect. But, it does have more nutrients, more flavor and more satisfaction value when you are eating it. If you are looking at pink Roma tomatoes hard as rocks, advertised as ripe, in the organic section of a ‘farmer’s’ market, this is not real food. I know this is a long rant, but you get the idea. Do not accept partially labeled products. ASK QUESTIONS. You are feeding your family and yourself; insist on the best. Not just the best looking but the best tasting, the least changed from 40 years ago when all foods had taste. Think about how many products don’t taste like they used to. Is it your memory, or is it that the food is produced for so many reasons other than your taste and health. Examine labels. Exactly what kind of milk is making butter these days that it has no flavor? There are many foods I don’t even bother buying anymore. I just wait for a trip to Europe, especially Italy. But, even there you must be on guard. There is massive attempts to move into the farming industry by chemical companies, and agribusiness. Italians are quite demanding about food, which is the good news. There are commercial farms, but they are still mostly controlled by families, not consortiums. But, Europe is the new target market for agribusiness. Don’t allow all our food be prepared more for size, shipping and perfect looks. Demand it also have flavor. Whew! At least I feel better. I’m off to my garden to pick the makings of a real salad. Please follow my blog or email me your address and I’ll add you to my newsletter about Italian products direct from Italy. I am in Italy right now and I love the food here. I live in an area where olives are grown and wonderful oil is produced as well as pecorino cheese and many other delights. I am a little alarmed when I go to local supermarkets and see the amount of packaged food in trolleys. I would hate to see Italians change their attitude to food. Debra, in the last few years I’ve watched the massive increase in prepared foods in the grocery stores around Rome. It’s sad and very worrisome. I’ve been reading your blog and enjoying it very much. I’m leaving for Italy in a couple weeks for a fall shopping trip. Can’t wait for the olio nuovo. I have several stops in the Maremma as well as Florence and a number of Umbrian towns. So much great oils that I know are pure. Thanks for the comment. Wow it’s Extra extra virgin olive oil for me now! Sent this to my bro and told him he should laminate it and hang it at his stand at Farmers Markets. Great Article!! It does make you want to throw up your hands and just eat chocolate doesn’t it? Even reading labels isn’t enough these days. Thanks.